This large slab aluminum box holds 50 certified coins from any of the major grading services. Built with sturdy materials, the sleek aluminum box is crafted with attractive exterior fittings and has foam inserts for easier handling. 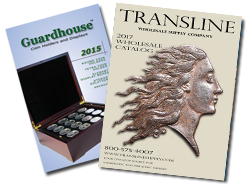 Guardhouse's aluminum slab boxes are perfect to keep certified coins safe when travelling.